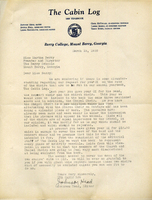 A letter from the editor of the Cabin Log, Johnson Head, asking Martha Berry about the costs of running the pictures of all of the choirs in the Cabin Log. 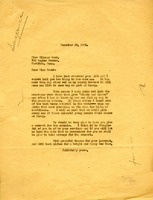 Martha Berry seeks Hammond's counsel on whether or not she should attend the Verdi Club concert. 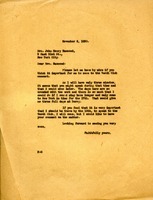 She says that since she will only have three minutes to speak to the club and since there are matters at the Berry Schools that need her attention and presence, perhaps it would be best if Hammond spoke to the club in her stead and Berry came to New York a few days later.